7 schools and at the Sevana Special School and Child Care Centre in Kotte and the Peter Weerasekera Children’s Home in Yakkala. Each of these labs was equipped with 70 math-related games designed to make the learning process more accessible, fun and relevant to students. Three-day residential math camps followed the installation of each of the labs. Conducted with the aim of creating an affinity for the subject among students and to dispel the belief that math is a difficult subject, these math camps were conducted by a team of nine resource persons, including the founder and developer of the math lab concept H.A. Dharmasiri as Lead Teacher. This team actively took part in the camps by providing hands-on experience and demonstrations of the simple and enjoyable math games to both teachers and students. The learning activities began early each morning and went on until midnight at each camp. The resource persons rigorously and closely oversaw the engagement of students in the games by dividing them into manageable groups, and enabled them make queries in an accommodating environment. While the conduct of math camps remains a pivotal step after the installation of math labs under the Commercial Bank program, educating teachers on how they should carry out daily operations and maintain the labs, and the formation of math societies are also part of the bank’s sustainable math lab development project. The math lab concept was launched in 2015 by the Commercial Bank of Ceylon to stimulate and develop the mathematical and analytical skills of school children in Sri Lanka. 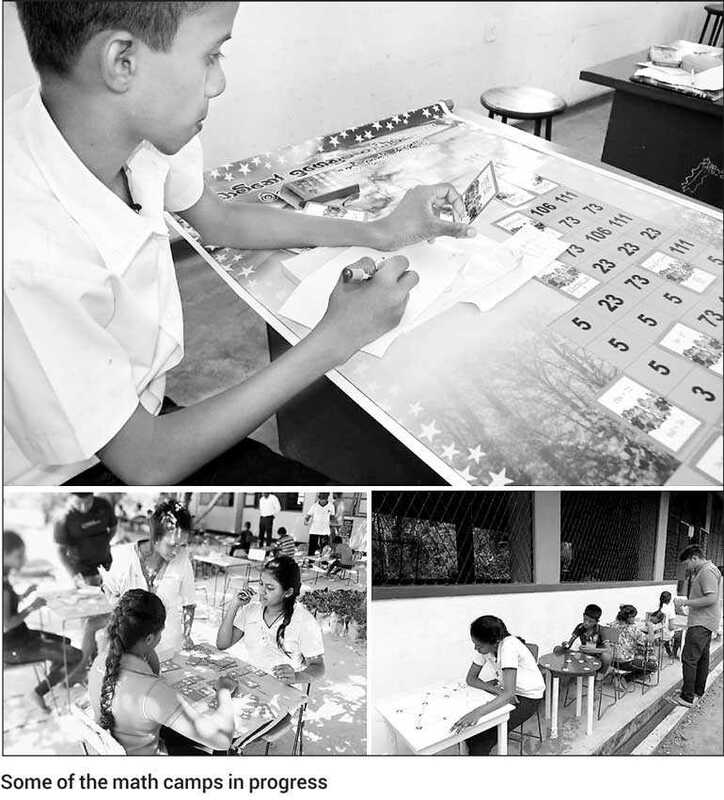 Inspired by the results achieved by the ‘Math Lab’ concept pioneered at the Miyenakandura government school, Passara, by former teacher and innovative learning materials designer Hengodage Dharmasiri, the Commercial Bank initiative has so far benefitted approximately 7,000 students across the country. The CSR Trust of the Commercial Bank has also donated 175 IT labs to needy schools across Sri Lanka under its flagship IT education initiative and is a partner in the government-private sector ‘Smart Schools’ project, currently encompassing 65 schools in the Western Province. Commercial Bank has also made substantial investments to develop the curriculum for all age groups for this program and has developed an online learning portal called ‘Sipnena’ to benefit students.